Our Mission is to provide the best quality legal representation at reasonable cost and always serve the best interests of my clients. When you retain my services, we are in the fight together. Do You Need a DUI Lawyer in Martinsburg, West Virginia? All criminal matters and drug forfeiture cases. 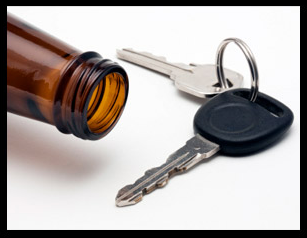 DUI cases and administrative license revocation proceedings in the WV DMV. You are looking for an experienced criminal defense or trial attorney who has handled almost every type of criminal case possible and who charges a reasonable fee for services. 1,000's of people are charged with DUI every year. Don't let a mistake stand in the way of your future. You don’t care about integrity and you don’t want someone who will sit down with you, explain the pros and cons of your case, educate you as to the applicable law and devise a plan to get you out of the trouble you are in. I personally communicate with you whenever possible. If I am in Court when you call, you can leave a message. I personally guarantee you will hear back from me in 24-hours, or less - most often, much less. My office phone is (304) 263-5698. The cost varies depending on the allegation and facts of the case. A fee will be quoted at our initial consultation. In many cases, if you qualify, we can begin working on your case upon payment of a portion of the retainer fee quoted with monthly payments thereafter. If you are employed full-time, you qualify. Often times your fee will not exceed the initial retainer fee quoted. Of course, the total retainer fee is subject to the facts and nature of the charge(s) against you. Statement of Fees: All fees are based on a flat rate depending upon the nature of the charge(s) pending against the client and the client’s prior criminal record if applicable. All fees are in writing and agreed upon at the initial consultation. All fees are competitive. They have easy access to their lawyer. A client can reach me by phone or email. Anytime a client wants an appointment all they have to do is call the office to set one up. Former clients will tell you that I am always prepared for their cases and that I fight to get them the results they desire. Lastly, my clients will tell you that I know what I am doing and how to get them results. Every Client’s case is unique to them. Every Client’s case is probably the most important thing in their lives at the time. We know you worry about how your case will turn out and we represent you like you are a family member not just a pay check. Visit our website or call our office for a free consultation or phone conference. During our free initial consultation I will answer all of your questions. Please call (304) 263-5698. If you are in trouble with the law and are in need of sound legal advice contact Attorney Craig Manford Today. Simply fill out the form below or call (304) 263-5698. States/Courts Admitted: State Courts: Circuit, Magistrate and Division of Motor Vehicle Courts in Berkeley, Jefferson, Morgan and Hampshire Counties in West Virginia. West Virginia Supreme Court of Appeals. Federal Courts: Northern District of West Virginia, United States Fourth Circuit Court of Appeals. Counties Served: Primarily: Berkeley, Jefferson, and Morgan Counties in West Virginia. Also practice on a limited basis in Hampshire County, West Virginia. Practice Areas:	Criminal Trial Attorney. 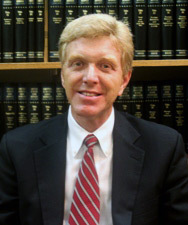 Extensive trial experience in State and Federal Courts. Trial experience includes approximately 200 jury trials. Concentration in Criminal Defense only. Obtained acquittals for clients in Murder Cases, Sexual Assault Cases, Robbery Cases, Fraud Cases, Child Abuse Cases, Theft Cases, DUI Cases, Drug Cases, Federal Cases. Vast experience in plea negotiations to obtain a favorable result for my clients. Note to Potential Clients: I have been in practice since 1984, and have over 27 years experience in defending criminal cases of all types. I take the time to sit down with you and explain the law applicable in your case as well as devise a strategy to get you out of the trouble you are facing. I work together with you to achieve your desired goals. You won’t leave my office with unanswered questions. We have proudly served clients in Berkeley County.